The retailer will face the ERA next week over allegations it pays North Island workers more than its South Island counterparts. 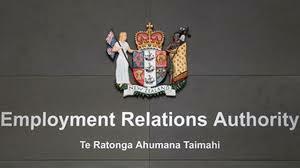 Foodstuffs will face the Employment Relations Authority next week over claims the company pays workers in the South Island less than it pays workers in the North. FIRST union organiser Rachel Boyack says South Island supermarket employees are paid about $2 less an hour than North Island staff. "[Foodstuffs] have said that they're paid less because it's the South Island,” she told Stuff. “The jaw drops on our side of the table. I have never heard an employer say that South Island staff should be paid less." Foodstuffs, however, disputed FIRST's claim. Laird stressed that it the issue is the business of individual stores and their owners. “It is not appropriate for Foodstuffs to comment on the bargaining process as we are not involved,” she added.